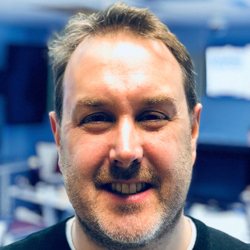 Peter Critchley is Managing Director of Beaver Group – a digital agency, whose team has been innovating in, and developing, the digital signage industry since 1998. Clients including IKEA, EAT, Whitbread, Odeon, Center Parcs, Showcase and GSK use digital solutions which Beaver Group’s project experts, engineers, and creative teams have installed and continue to support. Using bespoke analytics and reporting, success is continuously measured with each project the team delivers. Critchley has both a technical and creative background, which informs the strategy and consultancy expertise provided to Beaver Group’s clients. He is motivated to help these clients navigate the project process and make the right technology and content choices – ensuring that context, customer experience and value are at the heart of designing what is delivered by the digital solution. With a depth of experience in digital signage and broader digital technologies, Critchley and his team connect digital systems to create truly engaging experiences for customers, which scale across broader roll-outs, returning measurable value to the business, reducing risk and providing a platform to effect real and ongoing change.